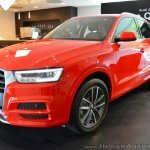 Audi has launched special edition models of the Q3 and Q7 that were showcased last month at the launch of the Q5 petrol. 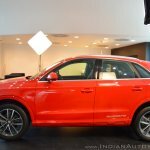 The Audi Q3 Design Edition and Audi Q7 Design Editions get cosmetic enhancements that help distinguish them from their regular models. 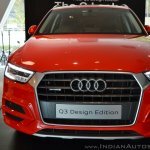 Audi Q3 Design Edition spots body colour bumper and wheel arch finish, quattro decals, and clear lens tail lamp clusters. 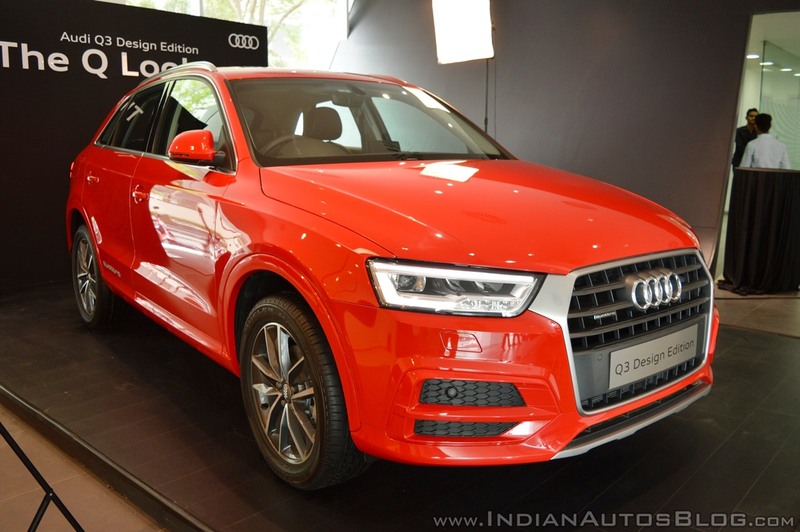 The Audi Q3 Design Edition features body colour finish for the bumper and wheel arch cladding. 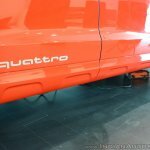 It sports quattro decals placed at the bottom of the rear doors and clear lens tail light clusters. 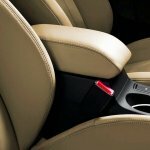 Also on offer are Audi logo Projection lamps, Key cover matching the exterior colour, Nappa leather upholstery, and a coat hanger. 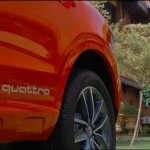 Appearance wise, the Q3 Design Edition is quite similar to the Q3 Dynamic Edition launched in October 2016. 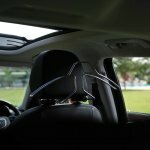 The Audi Q7 Design Edition, over the regular variant, gains accessories like rear seat entertainment, Audi Cool bag, Audi insignia decal on the D-pillar, and dark tinted tail lamps. It is finished in Galaxy Blue metallic exterior colour. 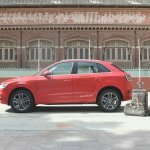 The Audi Q3 Design Edition is available in the 35 TDI variant, which employs a 2.0 L diesel engine with power and torque outputs of output 184 hp and 380 Nm. 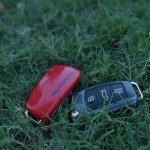 A 7-speed S tronic transmission sends power to all four wheels via Audi's quattro AWD system. 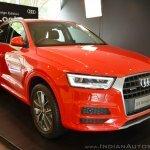 Audi is offering the Q7 Design Edition in both petrol and diesel variants. 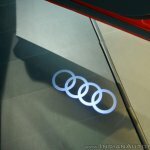 The Audi Q7 40 TFSI features a 252 hp and 370 Nm 2.0 L turbocharged petrol engine mated to an 8-speed tiptronic transmission. 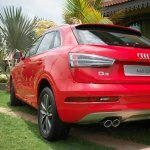 The diesel Audi Q7 45 TDI is powered by a 249 hp and 600 Nm 3.0 L engine pairing with an 8-speed tiptronic transmission. 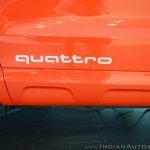 Both variants get quattro AWD. 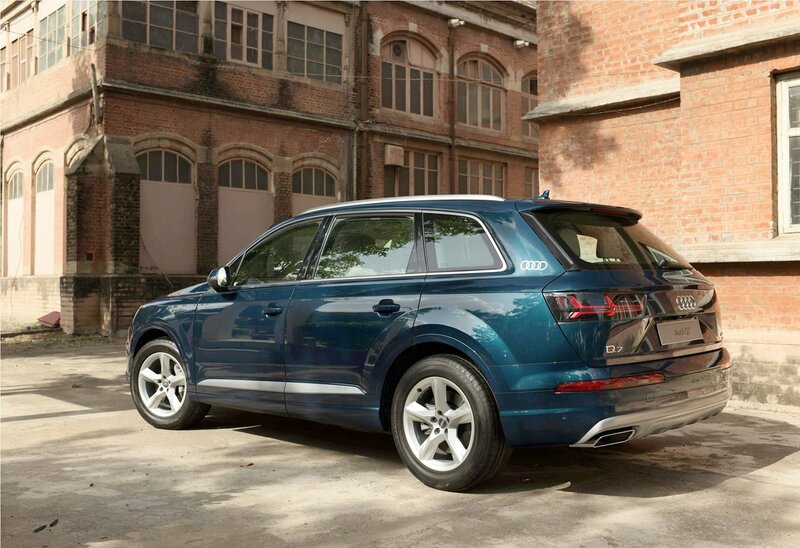 The Audi Q7 Design Edition is available in petrol and diesel variants. 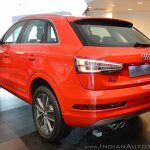 The Audi Q3 Design Edition is priced at INR 40,76,000. 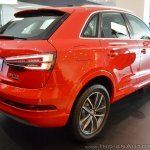 The Audi Q7 Design Edition is priced from INR 82,37,000. 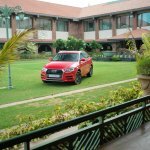 For reference, the standard Audi Q3 35 TDI is priced at INR 39,68,000 - INR 42,88,250. 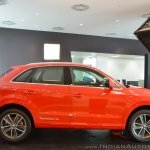 The Audi Q7 40 TFSI retails for INR 73,73,000 - INR 81,00,000, while the 45 TDI diesel variant costs INR 77,90,000 - INR 85,18,000. All prices mentioned above are ex-showroom.